I've signed up for the ATB 2019 30 km race and started my dedicated training long runs in the beginning of January. In June 2017, I joined a fitness centre in order to focus on core-strengthening exercises to improve my running form and avoid knee pain. Insufficient sleep sabotages all of the benefits of a healthy diet and regular physical activity. Please consider sending an email to Caroline Mulroney, Attorney General of Ontario, calling on her to defend the rule of law against the abuse of the Premier. Just a bit of silliness on a Friday morning. Jordan Peterson is tedious. Like, really insufferably tedious. And yet his followers still somehow manage to make him seem reasonable by comparison. But stuff like this helps. Enjoy! Summary results by riding and party for the 2018 Ontario Election. The PC Party is projected to win Thursday's election. However, with strategic voting, it's still possible to stop this from happening. I downloaded the latest dataset from tooclosetocall.ca and added some flags to the rows to indicate which ridings are winnable through strategic voting. After completing my first marathon, I found myself caught in the grip of a kind of running ennui that has sapped my enthusiasm. Most Confederate artifacts were installed during the long backlash after the Reconstruction era in order for white supremacists to send an unmistakable message to emancipated slaves: we are still in charge. The marathon occupies a sweet spot in human achievement: it is a difficult physical and mental feat that requires months of training, but is accessible to almost anyone who decides they really want it. In my third year, I have finally internalized and accepted the lessons of my second year, which has allowed me to return to something akin to the accomplishments of my first. There is so much information out there about running that it can be overwhelming. Here are the basics of what you need to know to get started. A pedometer made walking into a game: the goal of increasing my count came to overrule my default work-avoidance setting. After injury struck, I was forced to take a broader and more sustainable approach to fitness. This blog entry is my attempt to get all the concepts of RESTful web service design straight. For each Hamilton ward, this table calculates the winning candidate's vote as a percent of eligible voters. In summer 2013, I was an obese 39-year-old on the threshold of middle age. Here's an update a year later. I started running four months ago. I expected to lose weight and improve my aerobic fitness, but I've also noticed several additional benefits. The controversial law returns us to a state in which mutual distrust spirals into needless violence. The appropriate way to respond to terrorism is the same as it has always been: through effective, targeted law enforcement measures that do not violate the civil liberties of innocent citizens. 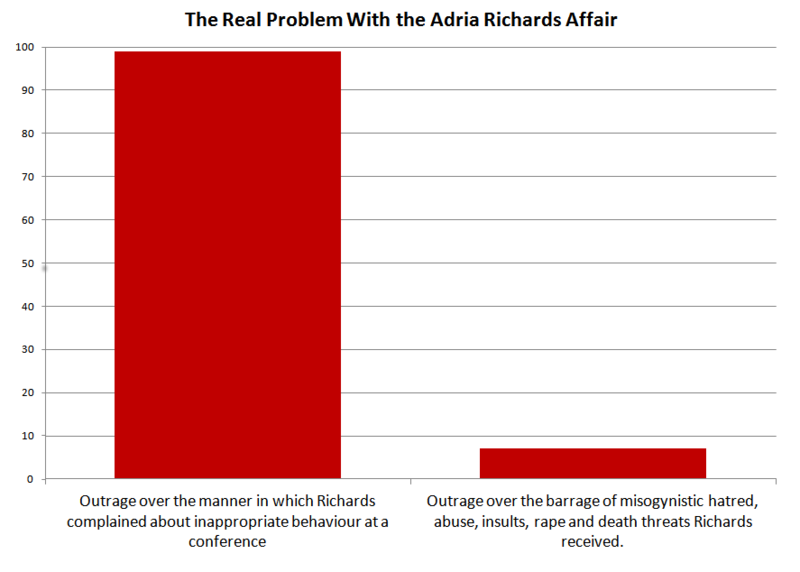 The tech community whipped itself into a firestorm of outrage when a woman complained about inapproprate behaviour at a a conference, but at best shrugged and at worst said she deserved it when that very firestorm overflowed into a forward panic of abuse and death threats. Today, I am ashamed to work in an industry in which unconscious misogyny is still the norm. A prosecutor forcing someone to admit guilt by threatening a life-destroying cruel and unusual punishment if they do not admit it - why, that is the very essence of using torture to extract a confession! I sent a letter to the Senate about Bill C-38. It appears that the relentless drive to simplicity in user interface has had the-side effect of serving as a disincentive for students to bother learning more about how computers work. Cooler temperatures and better oven steam action helped produce a better batch of baguettes. When you're building a web application, it's a powerful design heuristic to build a REST web service API, and build your application on top of your service. In Python, you can use dictionaries instead of tuples to populate values via classic string formatting. My mind is duly blown. I never realized that the traditional printf-style string formatting in Python - the kind that uses the % operator - supports the use of a dictionary as well as a tuple. Light rail transit advocates are reeling at the news that the city of Hamilton is redirecting its resources to all-day GO train service instead. Does this mean that Hamilton's LRT is completely off the rails? After a month of reading about how to make baguettes, I finally took the plunge today. The lawnmowing industry has successfully lobbied the Tennessee State Government to pass a groundbreaking law making it a criminal offence to loan your lawnmower to a neighbour. Provide value for your readers. Valuable writing is personal, informative, instructional, revelatory, entertaining, and engaging. I just upgraded my netbook to Ubuntu 10.04. So far, so good. If we understand what motivates trolls, we can manage their disruptions by removing their incentive to comment. As everyone who has spent more than five minutes on the internet knows, in the absence of personal accountability, some people inevitably turn into assholes. I've decided to learn CouchDB, and I'm taking notes as I go. The MPAA is lashing out against piracy by punishing its legitimate customers, which will only push more of them to piracy. When I was a kid, I had a Fat Albert book in which one of the Cosby Kids (for details of who did what I'm going on memory, but I think it was Bucky) gets upset about something and runs away. If you're an experienced programmer, you want to learn Python 3, and you don't have a lot of time to waste, skip this review and just go straight to the book. Here's my top 10 (plus one bonus) list of programming lessons I've learned over the last ten years. Most of the time, you want code to fail fast if it receives junk data. HTML on the early web is a powerful counterexample. How can it cost $100,000 a year to host a website? I propose an Open-Source Listing Service (OSLS) with the express purpose of killing the MLS monopoly and highlighting the earned value of truly competent real estate agents, while preventing under-performing agents from continuing to extract unearned value from their role as gatekeepers. The way software developers approach software may be instructive in helping us to think more constructively about politics and governance. I wrote this essay as a way of not completing another, more pressing task. File-sharing is an opportunity, not a problem. An object lesson in the difference between developer-oriented Linux distributions and consumer-oriented Linux distributions. Copyright © 2009 by Ryan McGreal. Licenced under the Creative Commons Attribution-Sharealike 3.0 Unported licence.